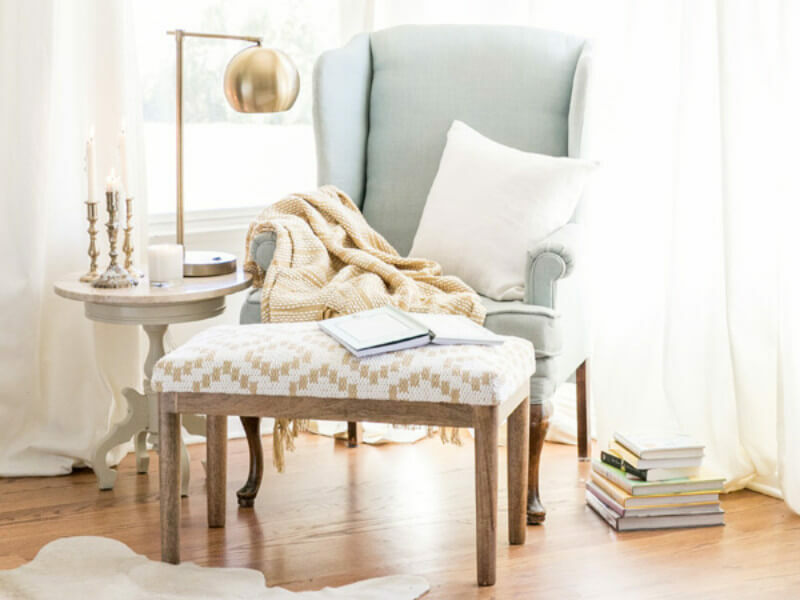 If you’re looking for a new way to add a twist of creativity in your home decor, then this trend came right on time for you! 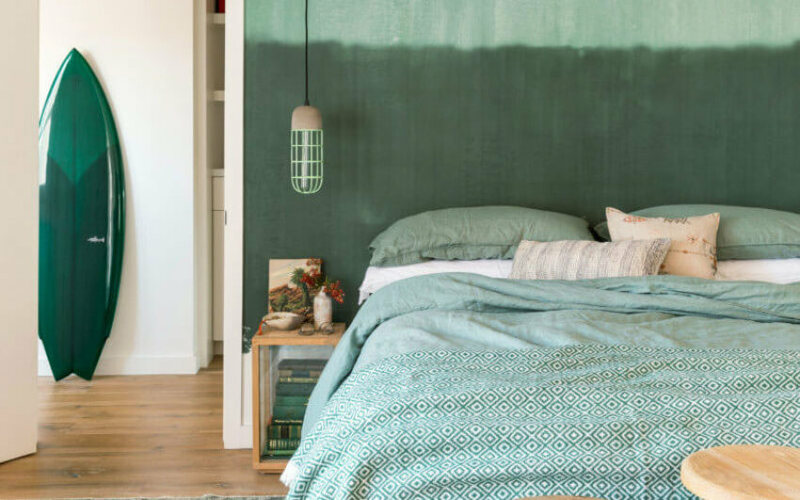 This eye-catching element is really unexpected, but it totally works in every single room we’ve seen. 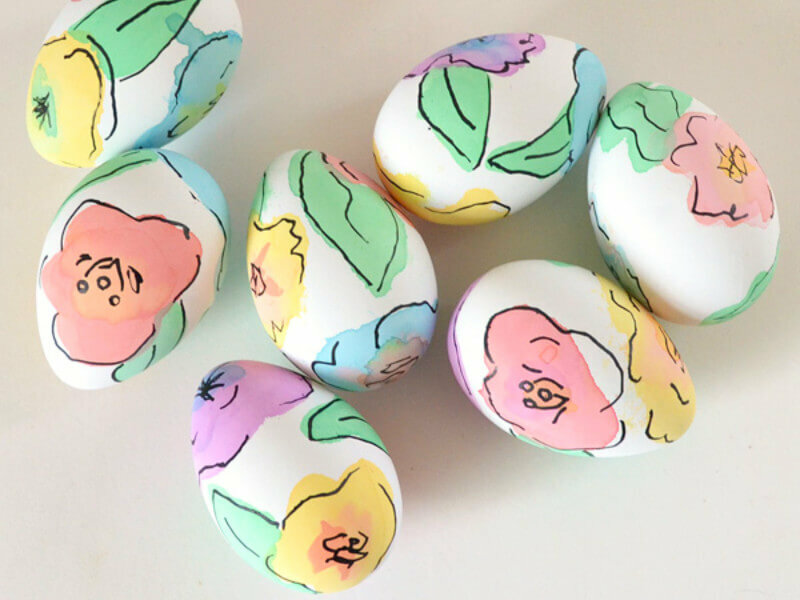 I’m talking about the surfboard decor that’s been making a buzz lately, have you seen it yet? Well, whether you say yes or no, keep scrolling and check out the amazing inspirations I’ve found to show you! 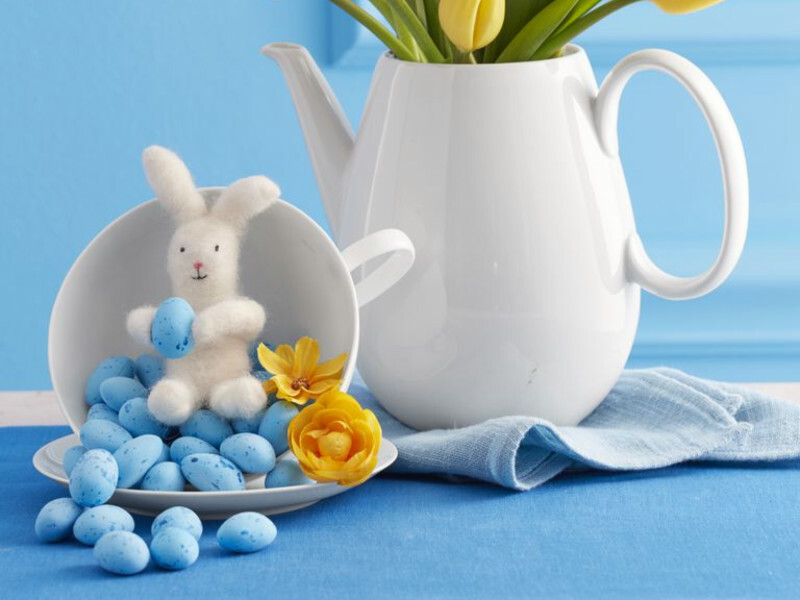 A great way to make an accent while keeping it according to your decoration is to use the same colors. Doesn’t it look great? And that green-ish color is perfect to bring in the beach-y vibe of the surfboard too. Not that it needs any extra help, but just mentioning it. To achieve that look, a painting service will definitely help you, just pick the surfboard you wish to add and you’re done. This kitchen breathes uniqueness and the challenge here really is to find something wrong with it. 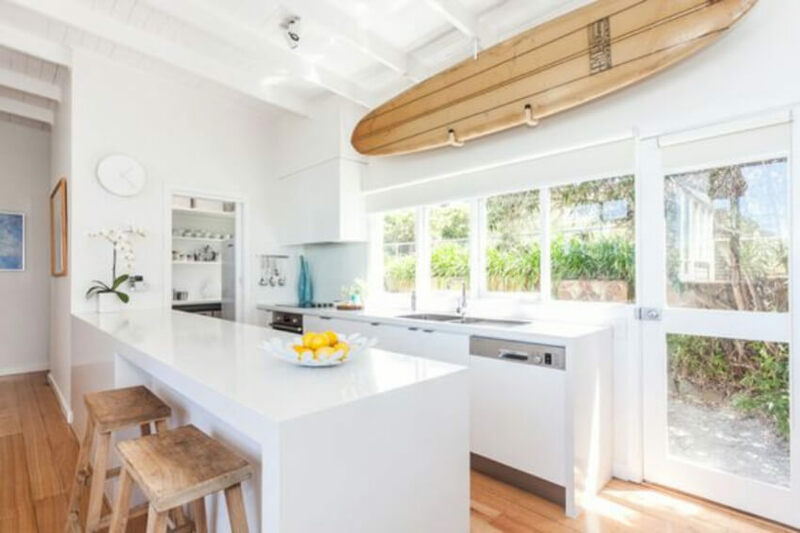 The way the surfboard is placed without getting in the way of anything or anyone is perfect and the white, modern kitchen just makes it even better. I also love how the stools have a similar color to the surfboard, making it all blend together amazingly! 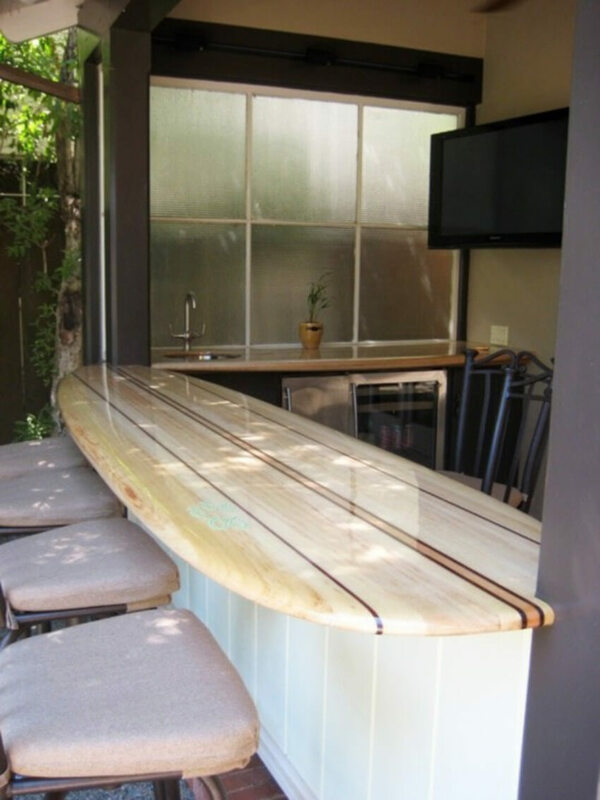 This is actually a great way to repurpose an old or unused surfboard. With a bit of carpentry skills and some varnish you’ll have a brand new counter for your home. The one above is actually an outdoor kitchen, which is great to bring that beachy vibe during the hot weather season! This home office is something I never dreamed of, but now that I’ve seen it, it feels like I’ve always wanted it! It looks absolutely beautiful and it’s great if you love to surf, but just keep it as a hobby. That way you can always remember something you love while at work! The whole combo of the surfboard, the blue and white pattern PLUS the plants makes my heart and soul happy. 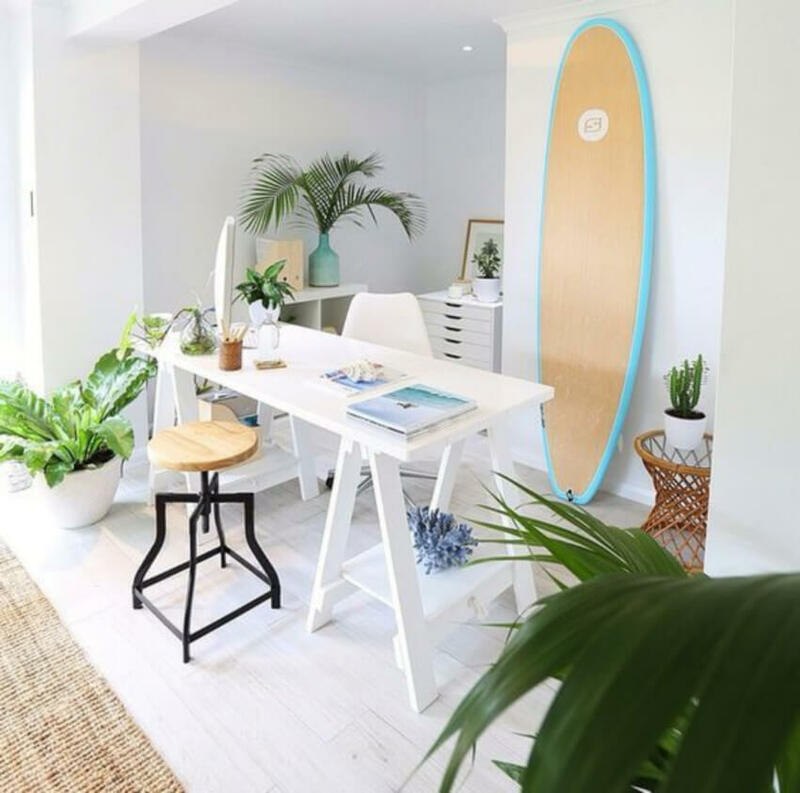 The kind of tropical vibe is really welcoming and it seems like working from home would really pay off in there. 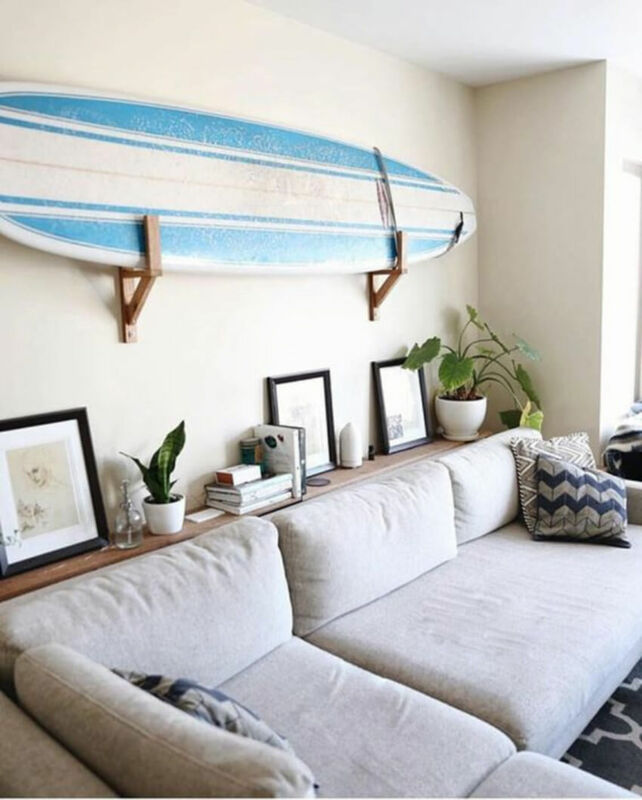 Hanging a surfboard above the couch is definitely a creative way to make that space great. 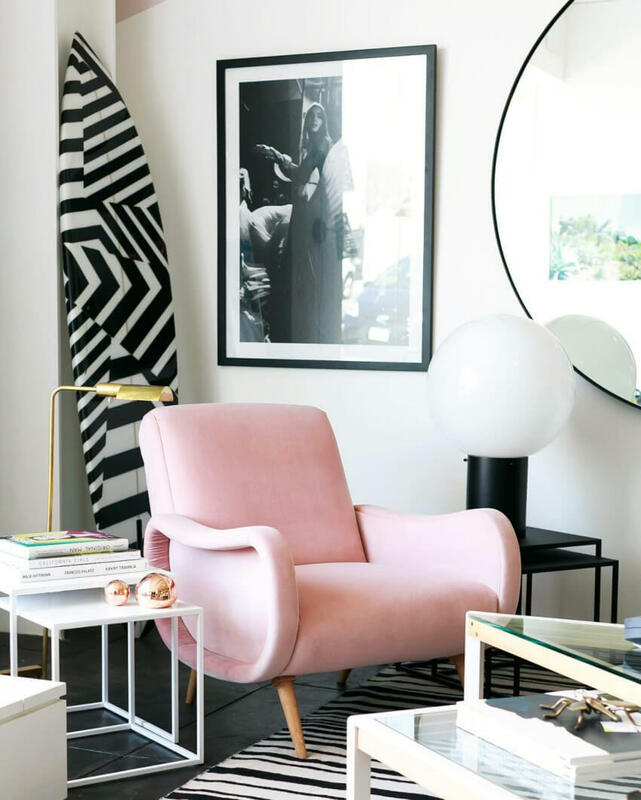 Instead of putting together a gallery wall or buying expensive artwork, just get your old surfboard or find one with a surfer friend that they’re no longer using and ask to add to your home as a decor piece. I’m sure they’ll be happy to help you decor while keeping their good memories alive with that surfboard! I’ll admit I’d never think of this and I kept looking at this photo for a while trying to find something wrong with it because my brain doesn’t seem to be able to handle two distinct decor accents in the same room. There’s nothing wrong with it. In fact, it’s just about perfect! I love it when people get creative and come up with stuff like this! 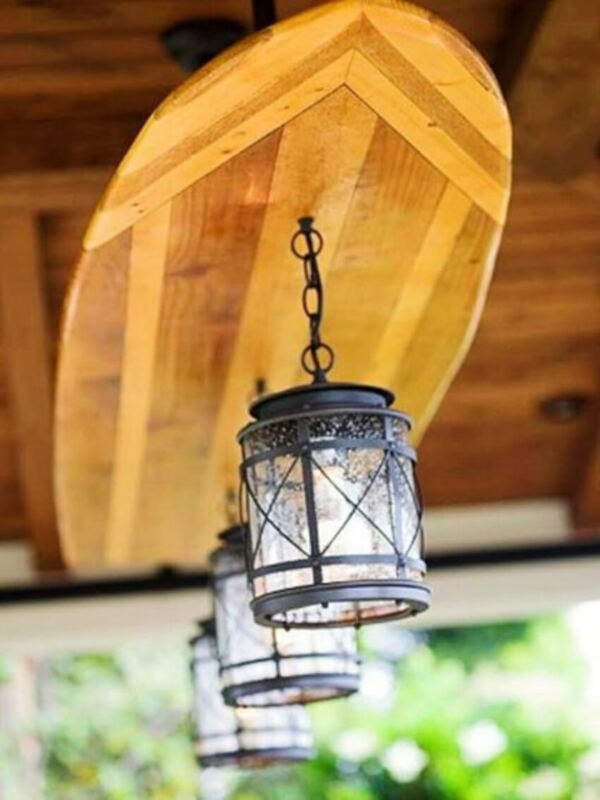 Whether to save space or to simply be creative, this person transformed a surfing board into a lighting fixture holder and it’s nothing but incredible. They definitely took the surfboard decor trend to a whole new level! What’s your favorite use of the surfboard decor? 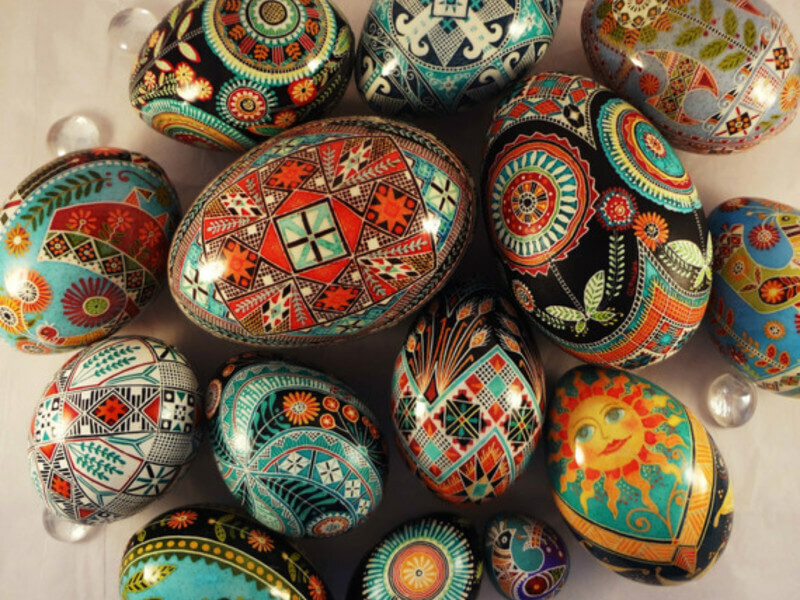 Get a free quote from a decorator to help you renew your home style!